One of the standout varieties at the Australian Alternative Wine Show 2016 was Gruner Veltliner. Of the 15 entries judged 12 were awarded medals. This Austrian variety was best known in its homeland for producing everyday drinking wines but over the past couple of decades it is increasing seen as suitable for premium varieties. It is also grown in other regions countries of Central Europe. "An exciting class to judge. A wide range of styles from light and crisp to richer and more textured. The best combined both of these elements with distinct varietal character. Who makes Gruner in Australia? 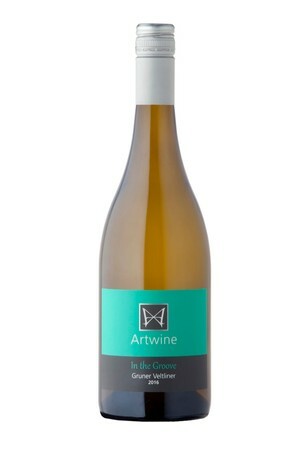 This result at the premium alternative varieites wine show in Australia is quite amazing. Even more so when you consider how new the variety is to Australia. The first local Gruner was produced by Lark Hill in the Canberra district in 2009. Hahndorf Hill in the Adelaide Hills made their first in 2010. Now just a few years later there are nearly thirty producers, mostly in the Adelaide hills but with a sprinkling of others in the cooler wine areas of Australia. No doubt there will be plenty more to come. The rapid emergence of this variety owes a lot to the enthusiasm and skills of Larry Jacobs and Marc Dobson of Hanhdorf Hill Winery. Not only have they been outstandingly successful in growing and making wine from the Gruner they have also evangelised it to their neighbours so that there are now about 20 wineries in the Adelaide Hills making wine. And having an 80% strike rate of medals for the variety is further validation of their program.